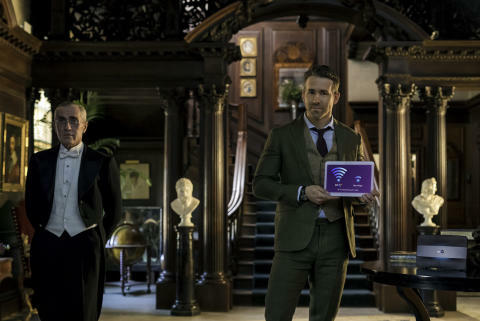 BT’s latest TV ad once again stars Hollywood action and comedy star Ryan Reynolds, as he takes the viewers “behind the scenes” – demonstrating the power of BT Infinity’s Wi-Fi signal. In this new ad titled “Manor House”, viewers see Ryan in his “second home”, looking every bit the part dressed as a country gent in full tweeds. He shows off his BT Smart Hub, “The UK’s most powerful Wi-Fi*” and is seen in his British Manor House demonstrating how far his Wi-Fi reaches and how he can enjoy faster Wi-Fi in various rooms, stretching far and wide. The advertising campaign will go live on Friday, April 21, and continues to parody the ad industry, giving viewers a humorous insight into the world of advertising. This ad is a follow up to last year’s BT campaign, which saw Ryan Reynolds speeding through life with superfast BT Infinity and hanging from a helicopter to show off the strength of his Wi-Fi. The ads will be broadcast on TV, radio, outdoor advertising and on social media channels. Dan Ramsay, BT Consumer marketing director, said: “Ryan was fantastic in our previous ads and they proved a huge hit with the public. 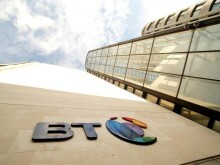 We’re delighted he is part of our new campaign to demonstrate the power of BT Infinity.